The Tale of Princess Kaguya is a faithful interpretation of the classic Japanese fable The Tale of the Bamboo Cutter, one of the oldest folklore tales in the history of the country. 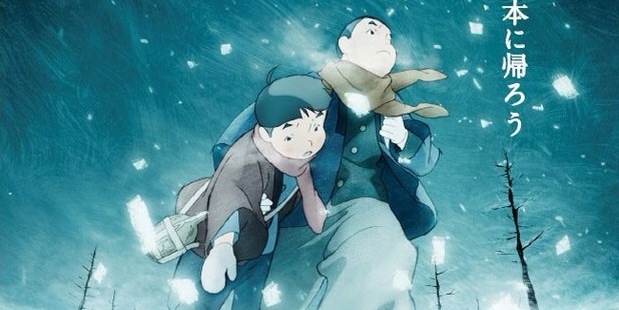 It is also Isao Takahata’s fifth film as director for Studio Ghibli, following the dark Grave of the Fireflies, the fun ecological adventure Pom Poko, the episodic comic strip interpretation My Neighbours the Yamadas and romantic drama Only Yesterday. It tells the story of Princess Kaguya, a tiny girl found inside a stalk of bamboo by an aging bamboo cutter and his wife. She rapidly grows in size into a beautiful young lady, though she hides a secret for which she must, eventually, face the consequences. The first thing that hits you when watching this film is the breathtaking quality of the animation techniques. Putting aside the great storyline, the film is worth watching just for the fact it is so beautiful to view. 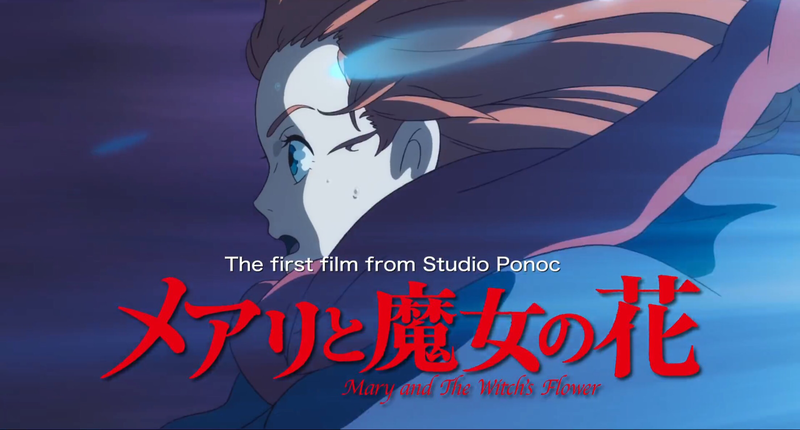 It really serves to remind us how effective 2D animation can be and we’re lucky that Studio Ghibli is yet to embrace 3D animation in the same way as Disney has, all but throwing away their heritage (though nontheless still churning out mostly excellent films). My favourite scene involved the princess running away from her adopted home in panic and fear. At this point the art style subtly changed and became more expressive and less controlled, with darker greats and blacks filling the screen, and it was an intelligent way to channel her emotions into the visuals. 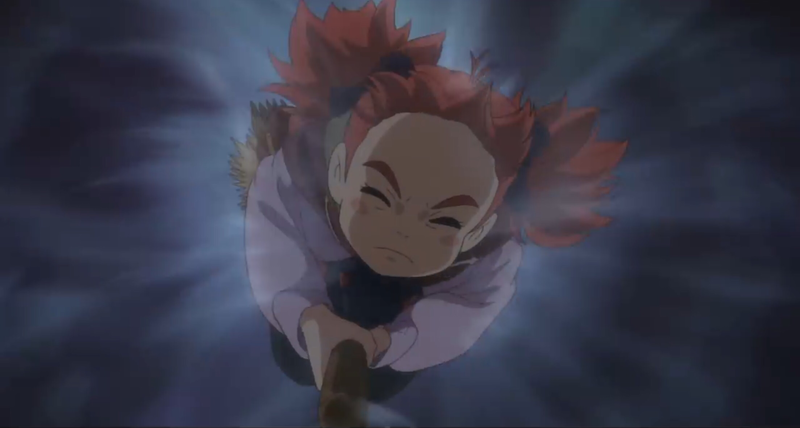 There is an immediacy of beauty in the animation style. The film arrives in North America and Europe with a lot of endorsements, not least the nomination at this year’s Adademy Awards in the category of Best Animated Feature (it lost out to Big Hero 6). 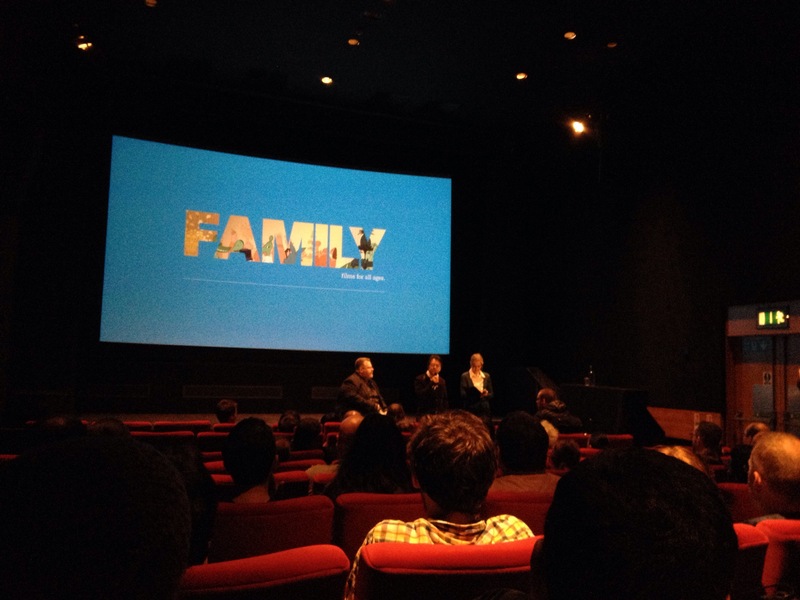 I usually prefer the Japanese voice-overs with subtitles and was lucky to find a screening with this option, but the English-language cast is nothing if not star-studded (including Chloë Grace Moretz, James Caan, Lucy Liu, Mary Steenburgen and Beau Bridges). I look forward to being able to hear this version once it reaches home media later this year. At 137 minutes it might be too long for most children but if youre looking for an intelligent way to entertain your family this weekend I heartily recommend this film. 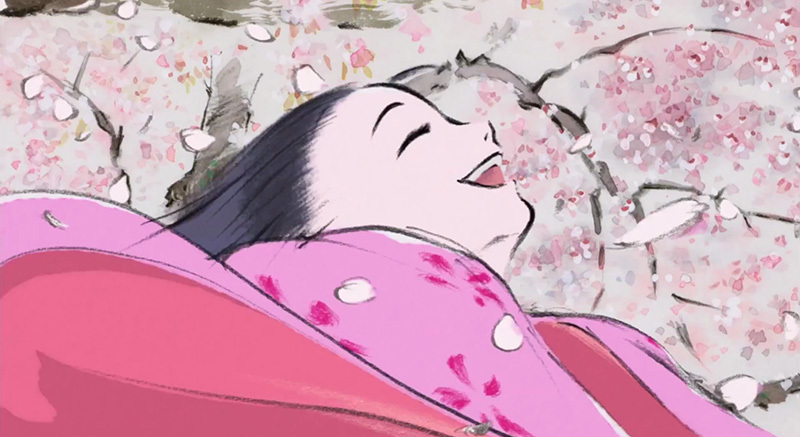 The Tale of Princess Kaguya is out now at selected cinemas across the UK. Back in July when I initially viewed Miyazaki’s final film The Wind Rises, I commented that it was a story that would have been better told in live action. The subject matter was very serious, there was nothing magical required of the story. It was simply an animation that didn’t need to be an animation. Giovanni’s Island, the new anime release from Mizuho Nishikubo, could have had a similar issue. It is a film set on Shikotan, a small Japanese island in 1945, which tells most of the premise in itself. We follow Young brothers Junpei and Kanya Senō as they deal with the island’s occupation by Russian soldiers, the upheaval of life as they know it, their integration with Russian culture at their school and Junpei’s romantic interest with Tanya, a Russian schoolgirl with a high-level military father. It is overall a very depressing subject matter. By this I’m talking Grave of the Fireflies sort of level of depressing. There were many teary eyes as the film reached its conclusion, and that is testament to what a fantastic job Nishikubo has done here. The animation style was actually quite intelligent and as the film went on there was a clear reason why animation was the medium of choice to tell this tale. 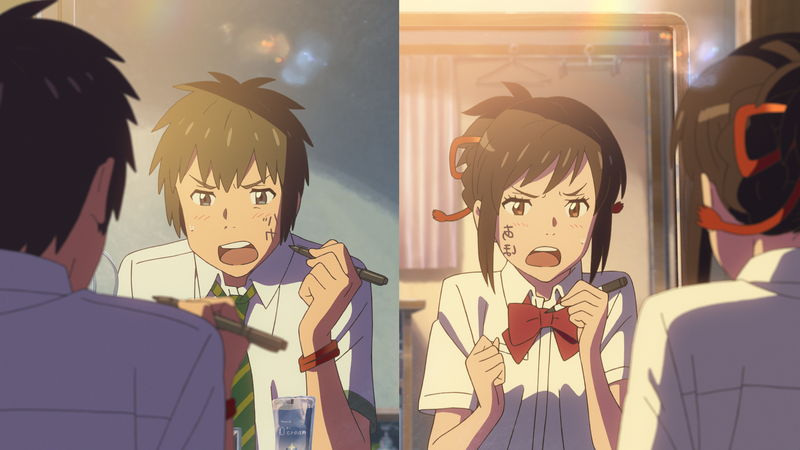 There are three distinct styles on show: very realistic imagery is used for all the modern-day portions of the work; a more childlike design with juxtaposing dull greys are used for the sections covering 1945; and Junpei’s dreams and fantasies are more varied, with styles ranging from basic sketches to star-filled neon visual fireworks. The decision to use all three styles to represent a now much older Junpei’s memory of the events is a smart move, especially when we see the childlike times he spends with his brother overlaying a truly grim memory of the surrounding landscapes. One key theme throughout is the children’s obsessions with trains and railways, inspired by the brothers’ favourite book Night of the Galactic Railroad. According to the director this book used to be extremely popular but has since become just a phrase that is used. In fact, only 10 out of approximately 100 children who auditioned for the film were aware of the contents of the book. Perhaps the choice of this particular book was a comment that the younger generations of Japan are trying to move on from the painful memories suffered by their grandparents. Or perhaps it was just a happy coincidence and I’m reading too much into it. Nishikubo has come in for criticism for the content of the film. Some Japanese critics thought he should have used the film to make more of a political statement. I tend to disagree. It really is an important and compelling story to simply tell the experience these two young children went through, without being judgemental of any of the parties. Neither the islanders nor the Russians are particularly singled out as being in the wrong. This allows us as viewers to make up our own minds, and it’s a much more balanced approach to allow the story to gain popularity and recognition in the world markets. In so many ways, this does a far better job than being highly favourable to the Japanese islanders, who went through terrible treatment no matter which way you look at it, and I’m sure this is the conclusion most will draw. Giovanni’s Island has a limited release in UK cinemas in 2014, including the London Film Festival (10th October onwards), Scotland Loves Anime 2014 in Glasgow (12th October), Leeds Vue in the Night (12th October) and Edinburgh Filmhouse (18th October). It will subsequently be released on Ultimate Edition Blu-ray (limited to 1000 copies) and DVD on 8th December, and standard Blu-ray on 26th January 2015. More information on all these releases can be found on the official Giovanni’s Island website. It’s that last line that really bothers me. That was Hayao Miyazaki talking, in 1978, about what animation means to him. It wasn’t a hard quote to locate. I only started reading his autobiography (of sorts), Starting Point, five minutes ago. It was right there in the third paragraph of the first page. I don’t think there’s any denying that, when looking back at the career of one of the greatest and most imaginative directors of all time (and I’m not limiting that to animation either), he has created a body of work that surpassed that which would have been capable in any other medium. If you look at Nausicaä, Princess Mononoke, even his work on Sherlock Hound The Detective, it’s difficult to see how any other medium mentioned above could have portrayed his story any better than in 2D animation. So when I was sat there at the cinema watching The Wind Rises, even before I read that opening quote, I couldn’t help but wish for the magic to ooze back into play. I was with a fellow anime fan and another friend who was unaware of any of his output, and we all agreed that the film could have been better served as a live-action film. There wasn’t really any call for the animation. Yes, it looked visually stunning as usual, but it didn’t add anything to the story. It’s sad that Miyazaki has chosen to finish his body of work with this film. Don’t get me wrong, it is definitely not a terrible film and it won’t tarnish his reputation. The story is solid, the characters well-realised, the backdrops deep in detail. It’s just a bit of an anticlimax after a series of such amazing films. One for the completists and die-hard fans, but if you’re new to Miyazaki, you’d be better to start with Howl’s Moving Castle or Spirited Away. The Wind Rises is out in cinemas in the UK now. Reviewed was the Japanese version with English subtitles.